Jaffa was 'just visiting' at our place .... but then we couldnt let her leave. 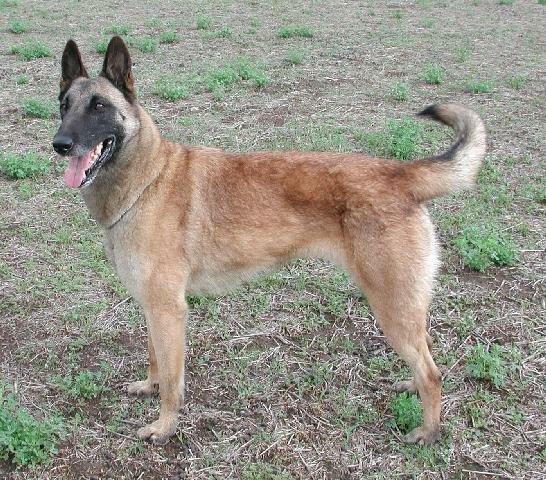 We thank Gordon and Karen (Breeders) for allowing Jaffa to stay with us. We missed Jaffa's 'puppyhood' and we have never raised an 'older' dog, so this will be a new experience for us. 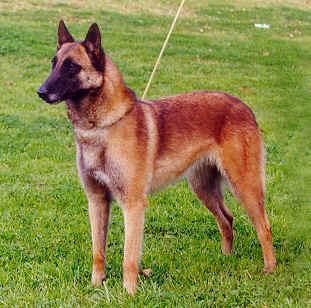 In due time we hope that Jaffa will take to training and trialing. 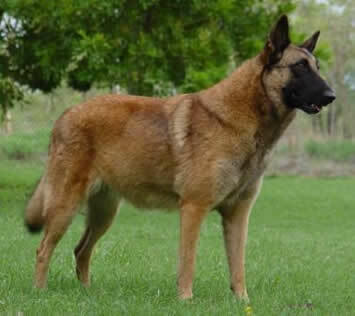 Jaffa was one in 7 puppies from a litter between two Malinois, but in the litter there was also Tervueren (long coat) puppies. 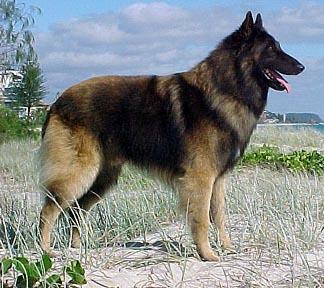 Both Jaffa's parents have Tervueren in their pedigree which makes for a interesting and beautiful lineage. 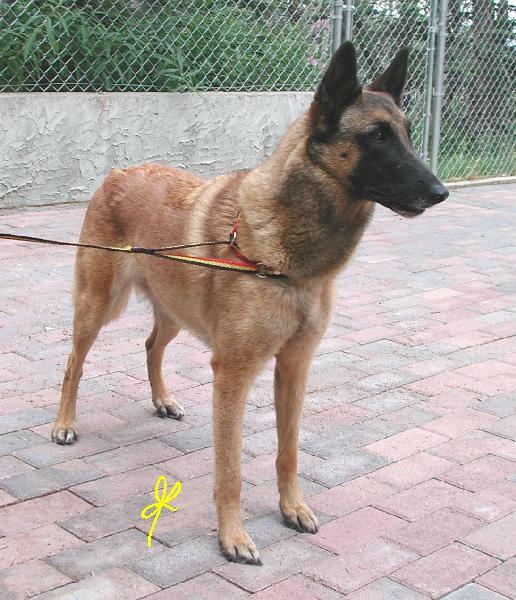 If you scroll down lower on this page you can view a picture of each of the dogs in Jaffa's pedigree. 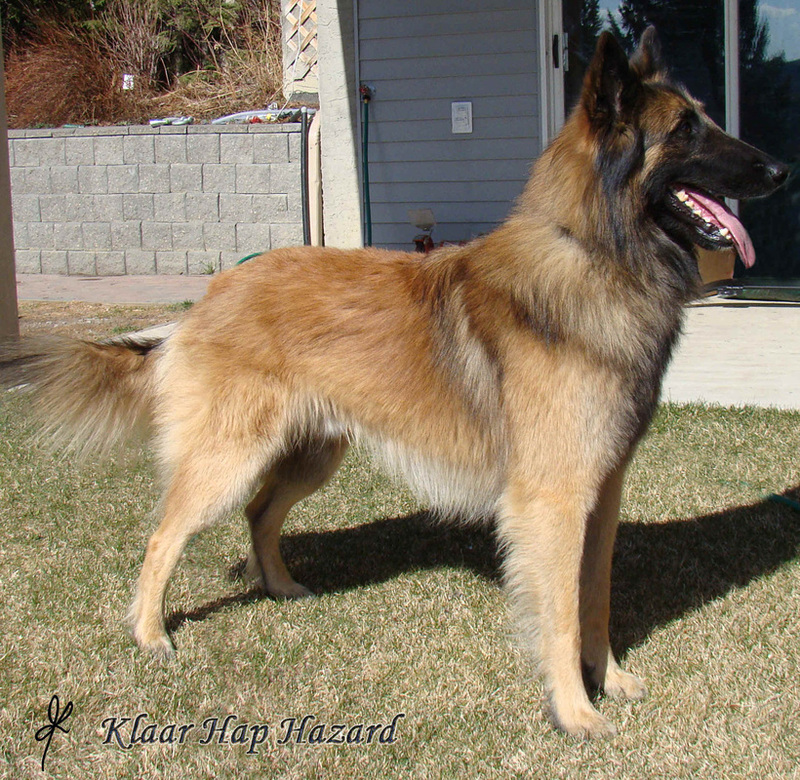 The Sire, Jasey, is an import from Klaar Kennel in Canada who have been involved in Belgians for quite a long time. 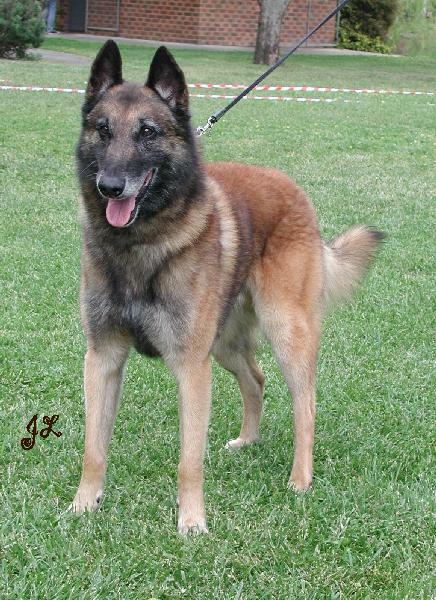 Jasey is from multiple Klaar home bred dogs both Tervueren and Malinois with many achievements. 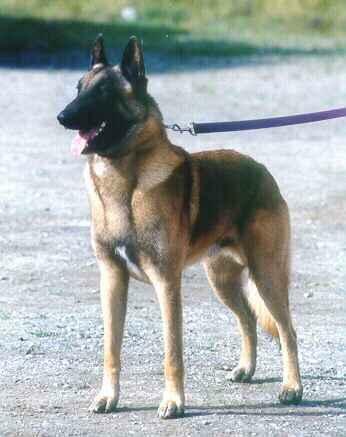 The Dam, jazz, was quite an achiever, Jazz lived life in the fast lane always wanting to do everything and be everywhere. 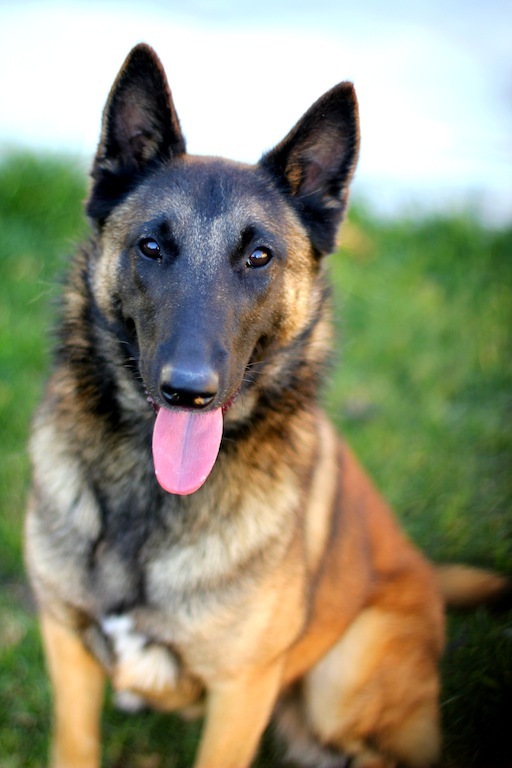 Jazz was trained and trialled by Karen who accomplished 2 RN passes and 2 CCD passes. Jazz won many achievements at Specialty shows under international judges with numerous BCC, BOB and constantly graded 'Excellent'. Jazz was also a numerous BOB winner at Sydney Royal.